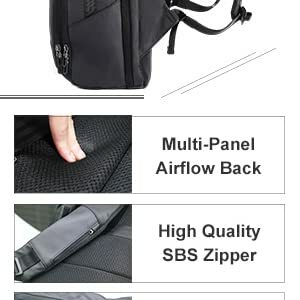 Travel in Style and in Safety with Bulletproof backpacks for Civilians and and smart people in general with a unique combination of product and protection for a busy lifestyle. Lightweight Premium Material Construction Backpack. Made from high density durable water-resistant Polyester Oxford, with Two "S" Curve padded shoulder straps. Breathable and adjustable shoulder straps relieve the stress of shoulder. Foam padded top handle for a long time carry on. USB Charging Port Design with external USB port with built-in charging cable. Use cable to connect your power bank, then connect your phone with original USB cable to the outside USB port. Headphone jack makes it easier to listen music and helps your hands free. Large Capacity and Anti Theft Pocket. 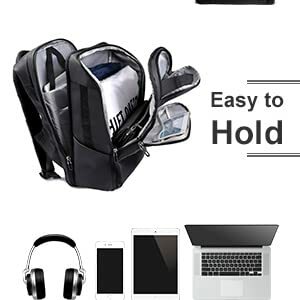 This large travel laptop backpack can store your laptop (can hold 17inch laptop), notebook, pens, iPad, clothes and more. 2 side elastic net pockets are convenient for holding umbrellas or your bottle. 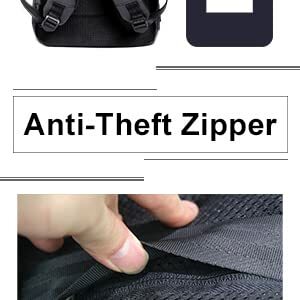 Anti theft pocket with high density durable metal dust-proof zipper. External Dimension: 19.0 *14.6*10.2 in. Capacity: 26L. Separate laptop compartment. Holds up to 17 inch Laptop. Multi-function: This backpack can be used as an everyday backpack with space to spare. • Material: Made from high density durable water-resistant polyester oxford with two "S" Curve padded shoulder straps. • Internal Key-chain: This design makes the key no longer lost. A luggage sleeve allows backpack to fit on luggage/suitcase and slide over the luggage upright handle tube for easier transport, perfect for students, business or travelers who want to make a fashion statement. 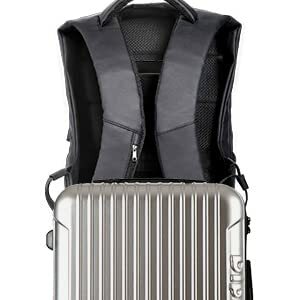 Bulletproof "URBAN & EXECUTIVE" –Level IIIA LightweightConvertible Bulletproof BackpackYou also ..